With colder weather headed our way, I was looking for a wintery image to share today. I took this photo in mid-December during some very cold weather. 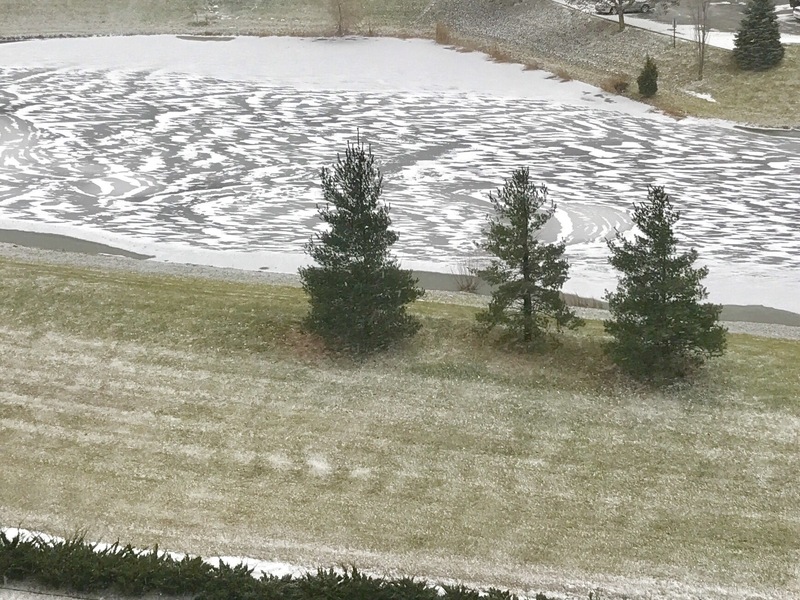 I was intrigued by the pattern on the pond, created by the wind. Another instance of being able to see the “invisible”.